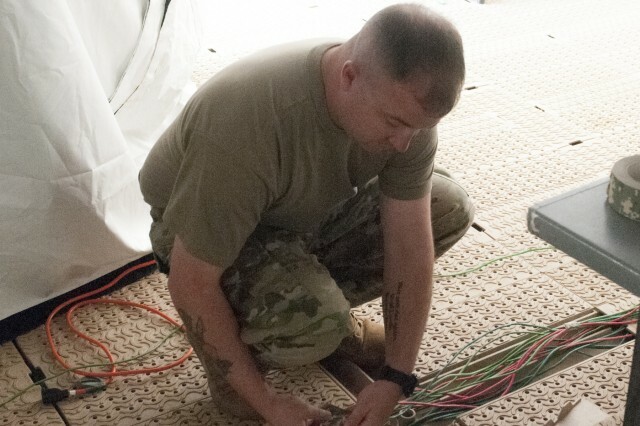 Soldiers from Rhine Ordnance Barracks, Ansbach, Baumholder and Airman from Aviano Air Force Base joined forces September 10-13 to sharpen their Integrated Air and Missile Defense warfighting skills. The U.S. Air Forces Europe Warrior Preparation Center hosted its second Spartan Shield, a five-day simulation event training crews from the 10th Army Air and Missile Defense Command, the 678th Air Defense Artillery Battalion, 5-7 Air Defense Artillery Battalion and the 606th, 128th and 123rd Active Control Squadrons. 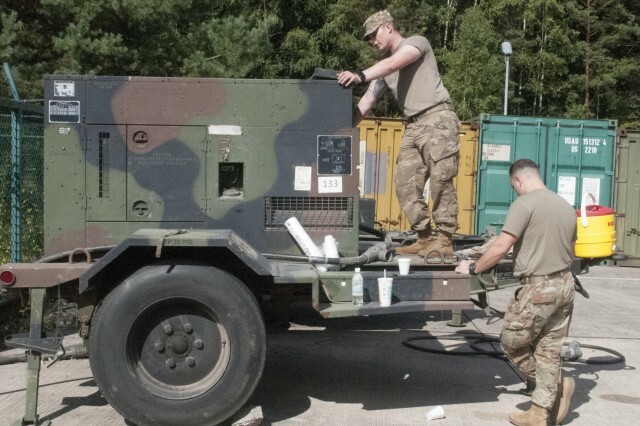 "We tested Army Patriot, Air Defense Artillery Fire Control Officers and Air Force Control and Reporting Center crews' reactions in a joint environment against a range of simulated air and ballistic missile threats. 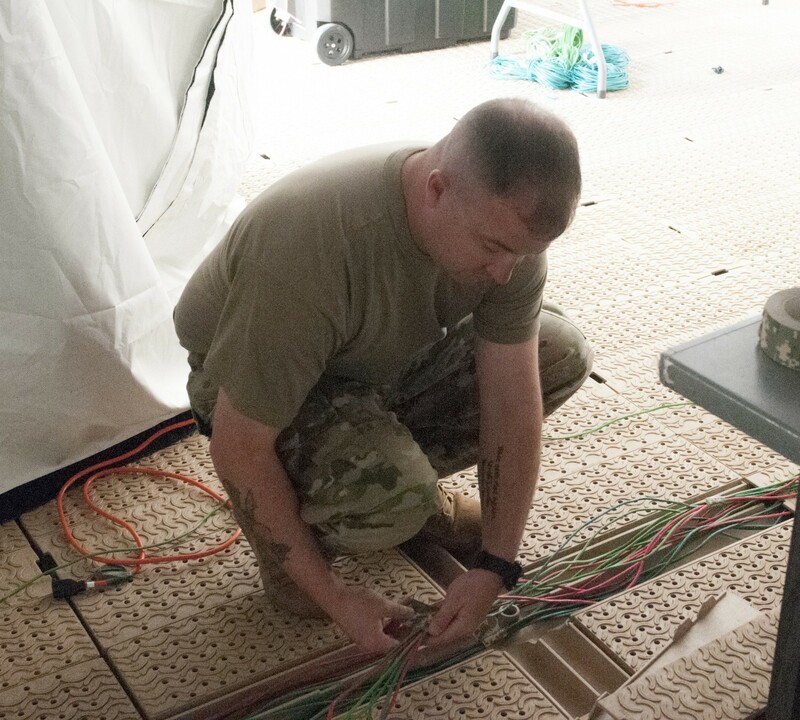 Crews were immersed in a challenging air and missile defense scenario to de-conflict engagements while identifying and preventing potential fratricide situations," said European Integrated Air and Missile Defense Center Deputy Director Lt. Col. Janelle Koch. "This ADAFCO-CRC training event is one of only two Live Virtual Constructive events of its kind and the only one right here in our theater." The Patriot emulators and CRC systems are now fully integrated into the WPC simulation environment providing a persistent LVC infrastructure for joint and multi-national air and missile defense training. 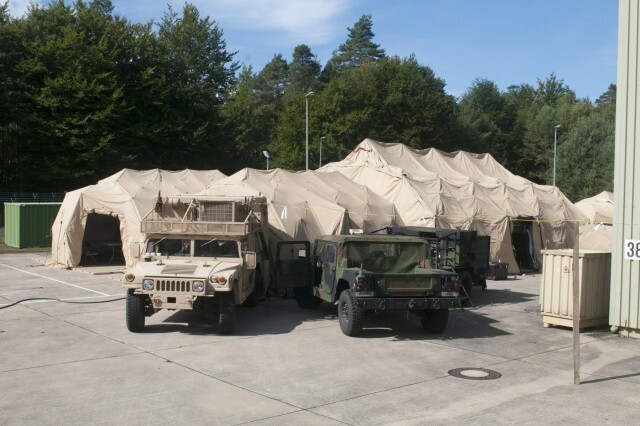 The Army and Air Force systems hosted at WPC provide a framework for distributed training that will enhance the defense of Europe from any missile threat. 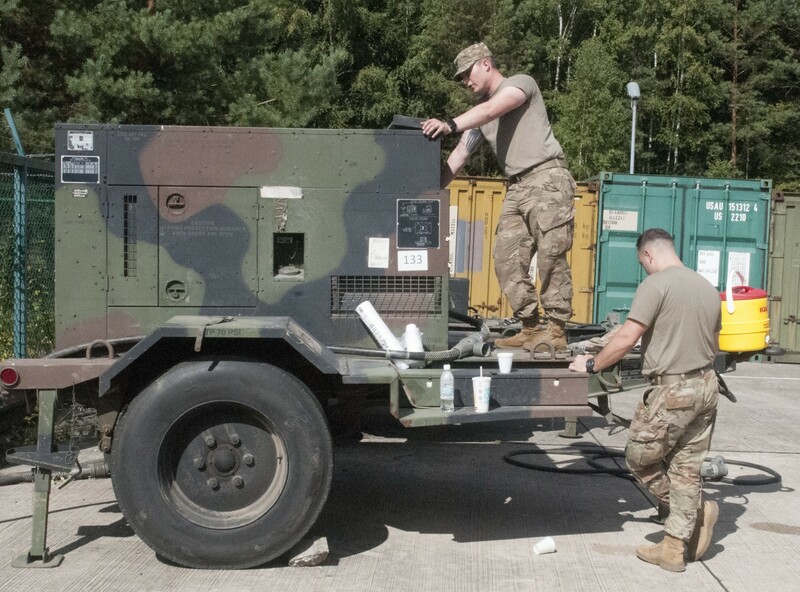 "This is a great opportunity for Army and Air Force integration and the only place to practice joint ADAFCO-CRC air defense in Europe," said Lt. Col. Chris Divyak of the 128th ACS.